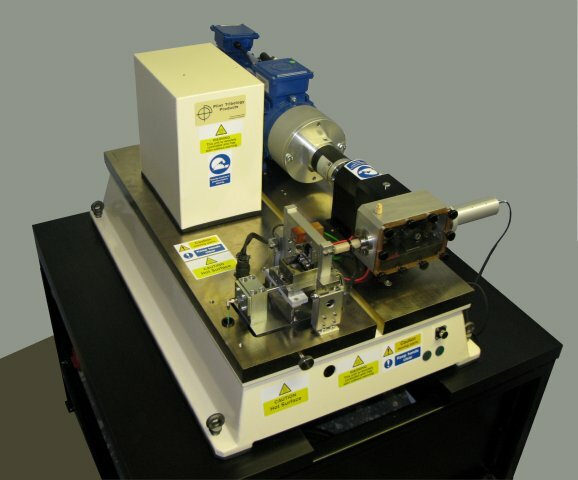 The TE 77 High Frequency Friction Machine is a versatile reciprocating tribometer with a maximum stroke of 25 mm and maximum load of 1,000 N. It is now a well-established research and development tool for evaluation of lubricants, materials, coatings and surface treatments. With the TE 77, sliding contact conditions can be matched to a number of machine elements. Specimens may either be of a standard format, or cut from real components, preserving surface finish and other properties. 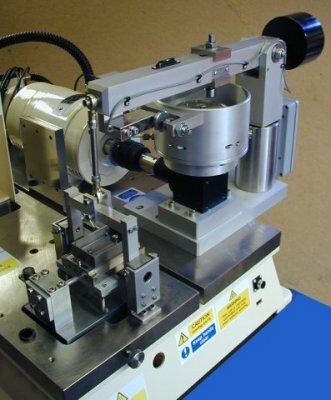 The TE 77 was used for the inter laboratory tests for the development of ASTM G 133 “Standard Test Method for Linearly Reciprocating Ball on Flat Sliding Wear”, which addresses the dry and lubricated wear of ceramics, metals and ceramic composites and also for ASTM G 181 “Standard Practice for Conducting Friction Tests of Piston Ring and Cylinder Liner Materials Under Lubricated Conditions”. 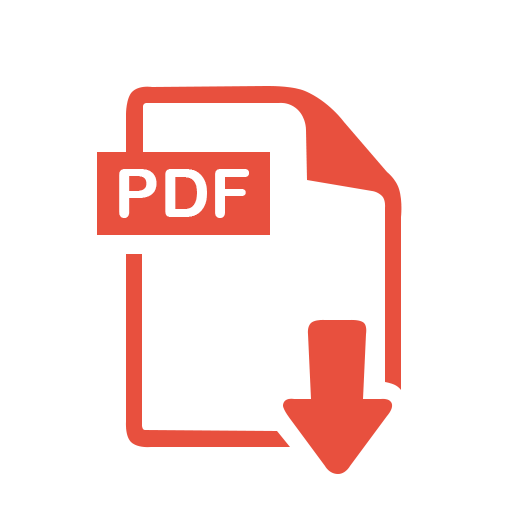 A large body of technical publications from existing users provides information on a wide range of non-standard research and development test procedures. TE 77 High Frequency Friction Machine is supplied with its own floor standing bench and with integral control unit incorporating a SUPERSLIM Serial Link Interface Module, which is connected to a host PC with COMPEND 2000 sequence control and data acquisition software installed. The system provides sequence control of load, frequency and temperature plus data acquisition of measured parameters, at both low and high speed. The moving specimen is mounted in a carrier. 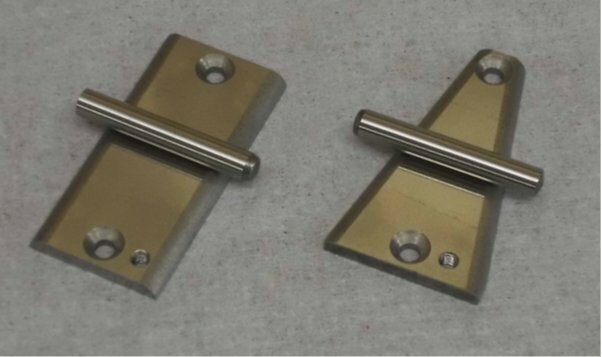 A number of different geometries can be accommodated by using a range of simple clamping fixtures. Self aligning area contact toolingThe specimen is oscillated mechanically against the fixed lower specimen. The mechanical drive comprises a motor driven cam and scotch yoke assembly, providing pure sinusoidal motion. The drive mechanism runs inside an oil bath. The stroke length is altered manually by adjusting splined eccentric cams on an splined eccentric shaft. 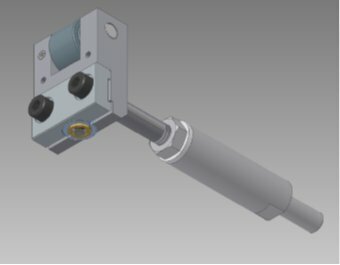 Two fixed cams are provided as standard allowing strokes to be set from 0 to 12.5 mm and 12.5 mm to 25 mm, with a total of eleven discrete positions per cam. A continuously variable double cam arrangement is included, which allows continuous variation of the stroke in the range 0 to 12.5 mm. The moving specimen is loaded against the fixed specimen through a lever mechanism actuated by a geared servomotor with in-line spring. The normal force is transmitted directly onto the moving specimen by means of the needle roller cam follower on the carrier head and the running plate on a loading stirrup. A strain gauge transducer is mounted on the lever at a point directly beneath the contact and this measures the applied load. The fixed specimen is located in a stainless steel reservoir. The reservoir is clamped to a block that is heated by four electrical resistance elements and the temperature is monitored by a thermocouple pressed against the side of the specimen or holder. The reservoir can be moved sideways on the heater block so that multiple tests can be performed on one fixed specimen. 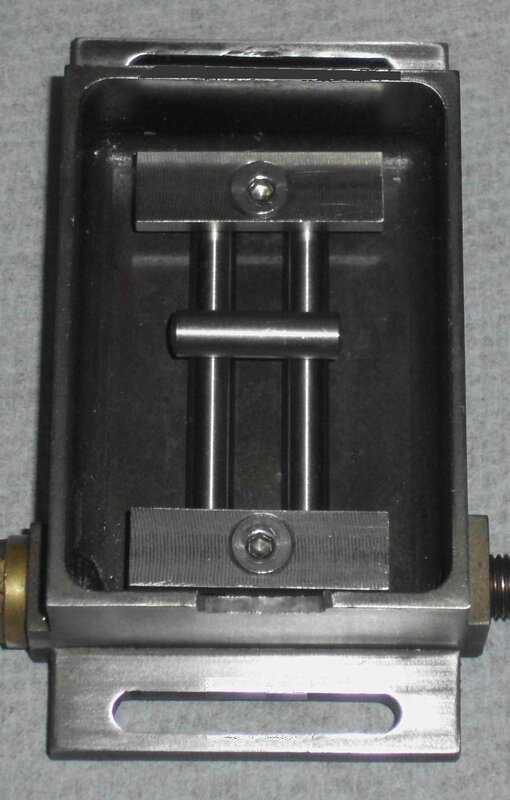 The heater block is mounted on flexures, which are stiff in the vertical (loading) direction, but offer limited resistance to horizontal forces. Movement in the horizontal direction is resisted by a piezo-electric force transducer, which measures the friction forces in the oscillating contact. The heated specimen carrier and piezo-electric force transducer are mounted on a common sub-base. 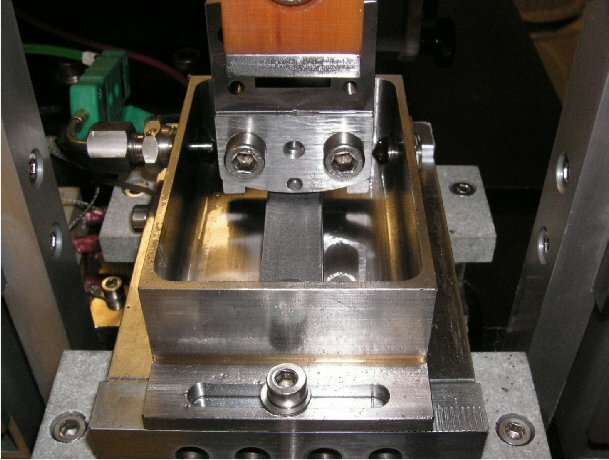 This not only provides seismic isolation from machine vibrations at high frequencies but also permits other sub-base assemblies to be fitted to extend the operating range of the machine.Special inserts are available for mounting the ISO Fuel Lubricity Test specimens and other standard specimens. The piezo electric transducer used to measure the friction force has a sensitivity of typically 43.5 pC/N and the output range is set to match expected friction levels in the contact. 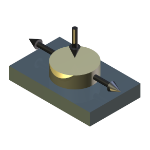 The maximum friction level is +/- 500 N.
A charge amplifier converts the measured force to a proportional voltage. This is followed by a low pass filter, which fixes the upper cut off frequency of the measuring system. This serves to suppress transducer resonance. Final scaling of the signal for voltage output takes place in a second stage amplifier. During higher frequency (>1Hz) operation, the charge amplifier is operated a.c. coupled. This eliminates the effects of d.c. signal drift over long time periods. The signal is passed though a true rms/dc converter amplifier and the final output is the true mean friction force. The instantaneous friction signal may also be logged in bursts using the integral high speed data acquisition interface. For low frequency sliding (<1Hz), stick-slip, single pass sliding, work with the Energy Pulse Slide/Roll Adapter and also for calibration of the transducer, the charge amplifier is operated in Quasi-static d.c. coupled mode. This gives signal decay times of up to 100,000s, sufficiently long when compared to typical measurement time scales for the zero not to have moved significantly during the measurement. The moving specimen carrier is electrically isolated from the drive shaft and therefore from the fixed specimen. 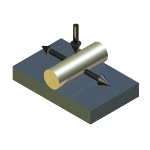 This allows a millivolt potential to be applied across the contact using a Lunn-Furey Electrical Contact Resistance Circuit. The voltage signal is taken to a true rms/dc converter amplifier to give a time-smoothed average of the contact potential. Variations in this voltage are indicative of the level of metallic contact, provided that both test specimens are conductors of electricity. 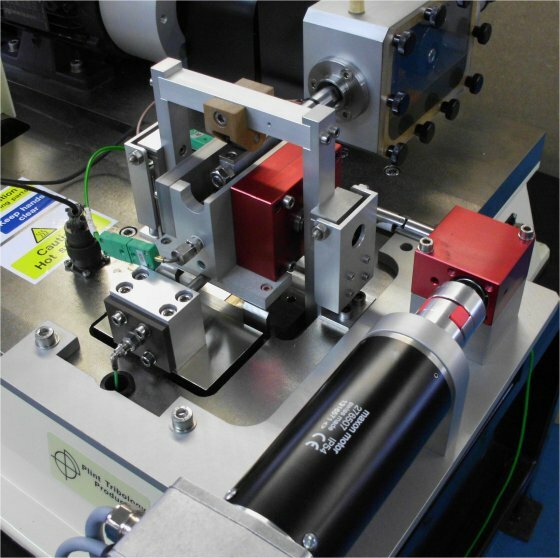 This measurement may be used for observing the formation of chemical films from anti-wear and extreme pressure lubricants, the breakdown of non-conducting layers and coatings or the build-up of oxides. The instantaneous value of contact potential is also available for data logging as high speed data. Many wear processes are driven by temperature, be they the formation of oxides on the surfaces, the transformation of microstructure, the formation or break-down of lubricant additive or other tribochemical films, the melting of the surface (the PV limit of the material) or thermal stress induced failure. To be more specific wear occurs as the result of the dissipation of frictional energy in the contact and this is irresistibly accompanied by a rise in temperature. The frictional energy is generated by the combination of load and sliding speed and its distribution and dissipation is influenced by other contacting conditions such as size and relative velocity. In the reciprocating contact of the TE 77, sliding velocities are deliberately maintained at low levels in order to minimise frictional heating and, in the case of lubricated tests, to promote boundary lubrication. Minimisation of frictional heating means that contact temperature can be controlled effectively by controlling the bulk temperature of the fixed specimen. The temperature is measured with a thermocouple pressed against the fixed specimen and control is by software PID with PWM output. This is not directly monitored on the TE 77 and assessments are made from wear scar sizes on the moving specimen and wear volumes on the stationary specimen. Specimen sizes are small enough to be placed in SEM and other surface analysis equipment for detailed chemical analysis of surface films. With the optional TE 77/WEAR fitted, a continuous record can be made of the movement of the moving specimen relative to the fixed specimen. This measurement can be used as an indication of the combined wear of both surfaces and for identifying wear transitions. The TE 77 has PC based sequence programmable control and data acquisition. This is provided by an integrated Serial Link Interface Module and COMPEND 2000 software running on a host PC, operating under Windows. Data is stored to hard disc in standard spread sheet compatible file formats (.csv or .tsv). Analogue input channels are sampled and data logged at a maximum rate of ten samples per second. Time smoothing and averaging functions are provided by in hardware and software. The standard (low data rate) r.m.s. friction signal is generated by passing the input voltage through a true r.m.s. to d.c. converter. This produces a time smoothed r.m.s. value of the friction force, integrated over a period of just over 1 second. Because the friction force signal approximates to a square wave, the r.m.s. friction signal can be considered as an average friction force as measured over at least one complete cycle, assuming a reciprocating frequency greater than 1 Hz. By rectifying the instantaneous friction force signal and subtracting the r.m.s. average, a resulting signal corresponding to the perturbations (friction noise) can be produced. If this signal is subsequently passed through a second true r.m.s. to d.c. converter, an r.m.s. signal of friction noise can be generated. This can be used, in real time, as an analogue measure of the friction noise, hence the orderliness or otherwise of the friction signal. By dividing the r.m.s. friction noise value by the r.m.s. friction signal value, a percentage friction noise value (as a derived channel in software) can be generated. The high speed data acquisition interface provides programmable burst data acquisition of friction, contact potential and stroke position. It is implemented by means of a 16-bit six channel multi-function ADC USB card, with programmable data acquisition rates up to 50 kHz. Data is buffered and stored direct to hard disc with a separate file automatically created for each acquisition cycle. The high speed data file names are automatically inserted as hyperlinks in the standard machine data file so that the high speed data may be viewed at the relevant place in the test. The maximum frequency on the TE 77 is 50 Hz. It should be noted that the majority of standards relating to reciprocating tribometers call for a test frequency of 50 Hz or less. The frequency range of competing electro-magnetic oscillator driven reciprocating tribometers is often higher (up to 500 Hz), but the amplitude range is lower than the TE 77, with a maximum stroke range typically up to 4 mm (but not over the full frequency range). This is compared with 25 mm on the standard TE 77. The TE 77 will run at 50 Hz at 5 mm and 30 Hz at 15 mm stroke. 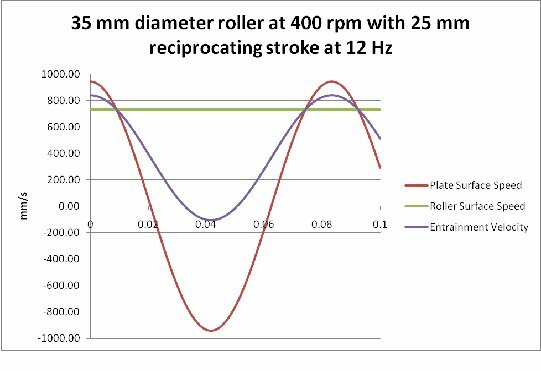 Whereas stroke length has no great significance for basic tests to evaluate the frictional and chemical film forming behaviour of lubricants, stroke length, hence sliding distance, are of great importance when it comes to wear generation. A stroke length of 10 mm is also specified in ASTM G 133. Wear is a direct function of sliding distance, hence, the rate of generation of wear is a direct function of the rate of accumulation of sliding distance. The longer stroke capability of the TE 77 makes it a more effective wear generator than short stroke electro magnetically driven devices. It also allows tests to be performed using variable contact width, hence variable contact pressure, curved edge fixed specimens. The ability of the moving specimen to “expose” all parts of the fixed specimen depends on the contact length being not more than half the stroke length. In other words, in the case of other devices, with a contact length greater than 2 mm and a maximum stroke of 4 mm, it is apparent that the centre portion of the fixed specimen will be in continuous contact with part of the moving specimen. This has serious implications for lubricant entrainment, for surface activation and for the discharge of wear debris from the contact. Debris can become entrapped and generate an unwanted third body wear mechanism. Because of this, the devices are not entirely satisfactory for adhesive wear tests with area contact specimens. An important issue with regard to contact scale is how the wear is shared between the two contacting surfaces. Wear is a function of sliding distance. In the case of the moving specimen, the sliding distance is twice the stroke length x number of cycles. For a point on the fixed specimen, the linear wear is twice the contact length x number of cycles. In other words, the wear of the moving specimen is dependent on total sliding distance but the wear on the fixed specimen is dependent on the number of passes and the contact length. 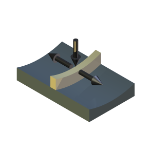 It follows that the ratio of wear between the two surfaces depends on both stroke and contact length. In order to model a real tribological contact, this contact scale parameter should be correctly modelled. To get the model right, the contact length must be correctly scaled. 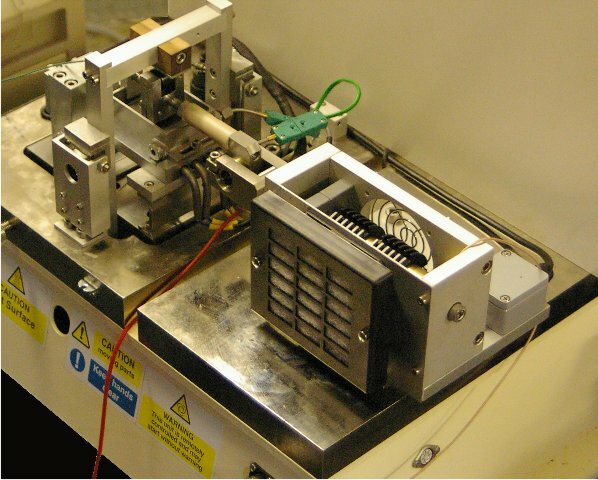 Hence, running at 25 mm stroke modelling a contact length of 3 mm in an engine with 100 mm stroke, the ring specimen in the test machine should have a contact length of 0.75 mm. To model this at shorter stroke lengths would require a contact length of 0.09 mm, which is not practical. The extra stroke length on the TE 77 means that quite a variety of large sliding specimens can be accommodated. This is particularly useful when working with test specimens cut from machine components. The test area is highly accessible and open to design of specialised specimen carriers. The TE 77 offers, by means of simple interchangeable gearboxes, a minimum frequency down to 0.01 Hz. Electro magnetically driven devices typically offer a minimum operating frequency of 1 Hz. This lower end speed range allows the TE 77 machine to be used for investigating stick-slip and friction-velocity (Stribeck) curve characteristics of lubricants and materials. 1 Is it possible to construct a Friction-Velocity Curve from reciprocating test data? 2 What is the effect of increasing the fixed specimen hardness in a steel on steel reciprocating line contact? 3 What effect does running a hard moving specimen on a soft surface have on the quality of the friction signal? 4 What effect does stroke length have on experiments with a hard specimen running on a soft surface? 5 What effect does specimen hardness have on the quality of the friction signal? 7 Is it possible to generate an analogue signal to indicate “disorderly” friction? 8 How important is material tribological compatibility in lubricated reciprocating sliding line contacts? 9 Is a sliding point contact test less sensitive to additive concentration than a sliding line contact test? 10 Is it possible to use the friction noise signal to trigger high speed data to capture friction events? 11 What is the effect of specimen hardness and a friction modifier on friction noise in a steel on steel reciprocating point contact? 12 How does contact geometry affect behaviour for contacts with the same nominal contact pressure? Varying ball diameter. 13 How does contact geometry affect behaviour for contacts at the same nominal contact pressure? Ball on flat versus pin on twin. 14 How quickly does wear scar grow in a sliding point contact experiment and what affect does this have on nominal contact pressure? 15 What effect does stopping and starting have on wear, friction and contact potential? 16 Can we use a stop-start test to deplete the additive and thus make the test more sensitive to additive concentration? 17 Why is a sliding point contact test less sensitive to additive concentration than a sliding line contact test? 18 What effect do DLC coatings have on a simply lubricated contact, in reciprocating sliding? 19 What effect do organic friction modifiers have on a DLC on steel simply lubricated contact, in reciprocating sliding? 20 What effect does a Friction modifier have on a steel on steel reciprocating contact lubricated with PAO base oil? The ring clamp allows the curvature to be adjusted to allow ring samples to conform with liner samples. 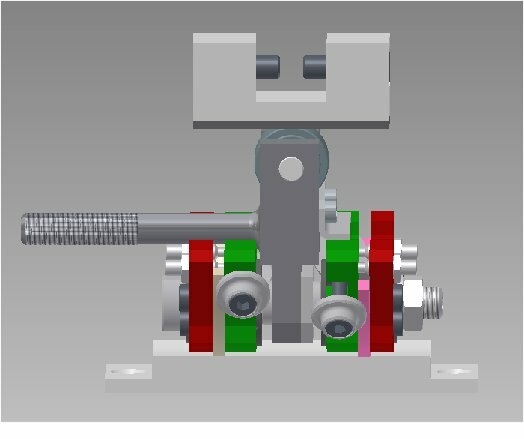 The standard clamp can accommodate rings of diameter 90 to 110 mm.The clamp back plate (green) is mounted on a bush (black), which is mounted in turn on the machines reciprocating shaft. 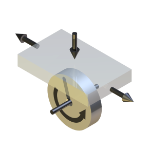 The bush is free to rotate allowing axial alignment between the ring and liner sample. 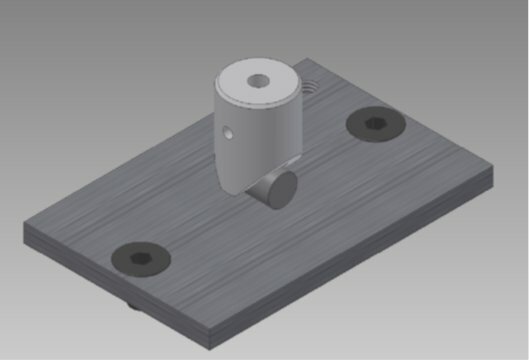 The clamp back plate incorporates two tensioning screws, which engage with the ends of the ring sample; tightening these tensions the ring against the lower side of the bush. The ring is clamped in place by a clamp plate (red). The gap between the two halves of the clamp is adjusted by set screws. The reciprocating shaft has a hollow bore and connection for an oil feed. 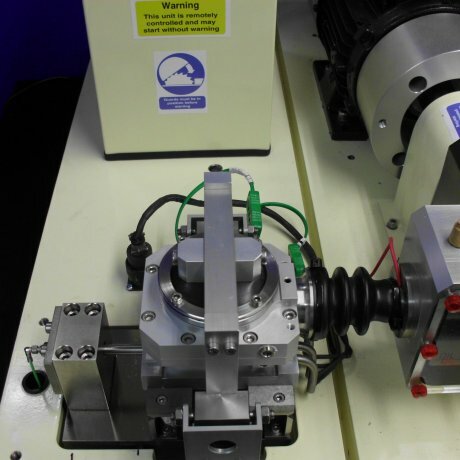 The bore communicates via oil-ways in the bush and clamp components to small jets either side of the ring sample. This allows lubricant to be added in small volumes to either side of the ring sample. A larger clamp has been designed to accommodate rings up to 200 mm diameter. 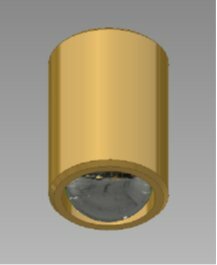 Use of this sized ring requires modification of the lubricant bath to reduce the side wall height. 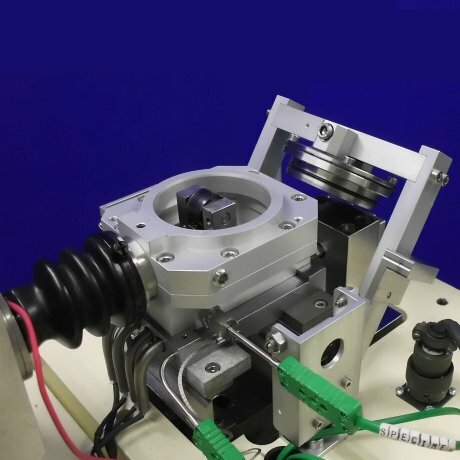 This arrangement allows two adjustable radius ring clamps to be mounted in series so that tests can be run with two ring samples on a common liner section sample. 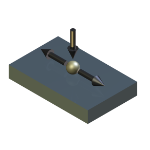 The pin on twin test bath allows tests to be performed with a self-locating crossed cylinder geometry. This is a technique originally developed by Dr Peter Blau at Oakridge National Laboratories. TE 77/WEAR is a high-resolution capacitance proximity measuring system. Output from the device is in the form of a DC voltage proportional to displacement, suitable for data acquisition on a PC. A capacitance non-contact probe is mounted in the moving specimen carrier. The probe is mounted approximately 0.5 mm away from a reference surface mounted on the edge of the specimen bath. The capacitance of the gap is converted to a dc voltage by a charge amplifier. The voltage is passed through a true rms/dc converter to provide the mean gap value over the length of the stroke. The variations in the gap due to wear, lubricant film formation, thermal expansion or a combination of these are picked up by the system. The fact that the gap is small ensures that temperature effects are limited to the thermal expansion over that length. The measuring resolution is greatest when the temperature of the fixed specimen is held constant. The TE 77/WEAR system is ideal for establishing long-term wear rates and transition points. This gearbox mounts between the drive motor and camshaft, providing a 20:1 reduction in operating frequency. The low sliding speeds generated encourage the contact to operate in boundary lubrication conditions. The option is therefore useful when testing additives and lubricant formulations. This gearbox mounts between the drive motor and camshaft, providing a 100:1 reduction in operating frequency. The very low sliding speeds generated ensure that the contact operates in boundary lubrication conditions. The option is used for studying static friction and stick-slip of lubricants for slide-ways, clutches and the like. Specimens are available for stick-slip testing. The TE 77/HR is a replacement reciprocating specimen carrier with integral heating, designed to allow tests to be run with a differential temperature between the moving ring specimen and the fixed liner specimen. The ring sample is self-heating to 200°C and is normally used in conjunction with liner sample temperature controlled by the fixed specimen heater block to less than this value. The TE 77/INERT Gas Enclosure is an anodised aluminium chamber that fits in place of the standard heater bath and encloses the fixed and moving specimens. The reciprocating specimen carrier is sealed by a rubber bellows fitted between the reciprocating drive assembly and the chamber. Load is applied through a flexible membrane in the top of the chamber. Inlet and outlet pipe fittings and a length of pipe are provided for connection to a customer’s inert gas supply. A water manometer is used to measure the gas pressure in the enclosure. Specimen temperatures in the chamber are limited to 200°C. This option is used for investigating the effects of ambient gas or moisture on friction and wear. Inert gases, water vapour and mildly corrosive gases may be used. This replaces the standard fixed specimen heater block assembly with a cooler pad. A laboratory refrigeration unit delivers pressurised refrigerant direct to an expansion probe, embedded in the cooler pad, removing the requirement for an intermediate heat transfer fluid. This arrangement allows temperatures from ambient to -50°C to be achieved. To avoid ice formation, a test enclosure is included, fed with cool and dry air, delivered via a vortex cooler and a desiccant tube. A compressed air supply is required. On the TE 77 the heated specimen carrier and piezo-electric force transducer are mounted on a common sub-base. To carry out high temperature experiments this is replaced with the separate TE 77/800C sub-base assembly. Key components of this assembly are made from Inconel (for high temperature performance) and a thermal barrier ensures that the flexures and piezo-electric force transducer are not exposed to excessive temperature. The standard reciprocating specimen carrier head is also replaced by a carrier made from Inconel. This has a “C” shape, permitting the specimens to be enclosed inside a shroud and the load to be transmitted through a roller bearing outside this enclosure. Specimens can be mounted either in the standard sample bath for dry or lubricated tests up to 600°C or on a special platform for high temperature un-lubricated tests. A stainless steel shroud is provided to help reduce heat loss by radiation and convection at the high temperatures. 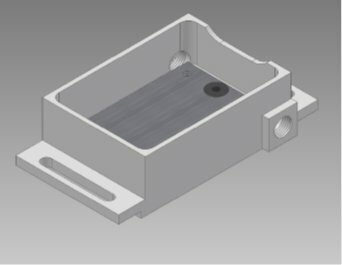 This option may be provided as a retrofit assembly comprising heater block and four 200 W heaters, flexures and piezo-electric force transducer all mounted on a separate sub-base. The heaters are wired into the same connector as the standard heaters once these have been removed. The TE 77/PUMP drip feed system uses a variable speed peristaltic pump. The advantages of this system are that there is no cross-contamination between pump and fluid, fluids are not exposed to high shear rates, it is self-priming and safe under dry running. By selecting a range of tube bore diameters a very wide range of flow rates are achievable. With a single size of tube the pump has a 110:1 turn ratio. The package includes the peristaltic pump controller and pump head, three sizes of pump tubing and universal pipe fittings. An adaptor is provided for use with the standard moving specimen carrier clamps. This allows a PTFE tube to be mounted on the carrier to direct lubricant onto the contact zone. This option is used in additives screening and lubricant development programs to provide fresh lubricant to the contact over long time periods. This is particularly important if tests are being carried out at temperatures where oxidation or evaporation of the sample is accelerated. This adapter replaces the standard reciprocating drive assembly with a piezo actuator drive system. This is for performing fretting tests at strokes from 10 to 100 microns with frequencies up to 100 Hz with control of mid-stroke position and amplitude to +/-0.2 microns. The system includes a high pre-load piezostack, servo amplifier and signal generator, capacitance displacement gauge, 250 kHz 16-bit 16 channel multi-function ADC (not required if TE 77/HSD is already installed) and C-flex mounted moving specimen carrier. Simultaneous high speed data acquisition of friction force and displacement allows force-displacement curves to be plotted. The TE 77/PD Pin on Disc Adapter replaces the standard reciprocating head on the machine and allows the performance of conventional pin on disc tests, using the machines drive motor and automatic loading system. 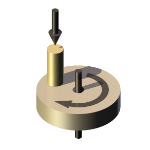 Many wear and failure mechanisms in gears and valve trains can be modelled with sliding-rolling contacts, in which the point of contact moves on both surfaces. The development of the “Energy Pulse” (EP) criterion led to the development of two slide-roll adapters for the TE 77. In this arrangement, a plate specimen is reciprocated against a rotating roller in what has been termed a “Reciprocating Amsler” test configuration. 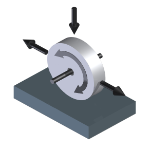 This produces asymmetrical lubricant entrainment: positive with the surface of the plate and roller moving in the same direction and, depending on relative speeds, negative when moving in opposite directions, hence a model for the kind of entrainment conditions occurring in a cam-follower contact. No point on either specimen remains in continuous contact.The adapter uses the standard 25 mm stroke cam drive and loading system. It is supplied on an sub-base, interchangeable with the standard TE 77 heated specimen carrier and piezo-electric force transducer sub-base. 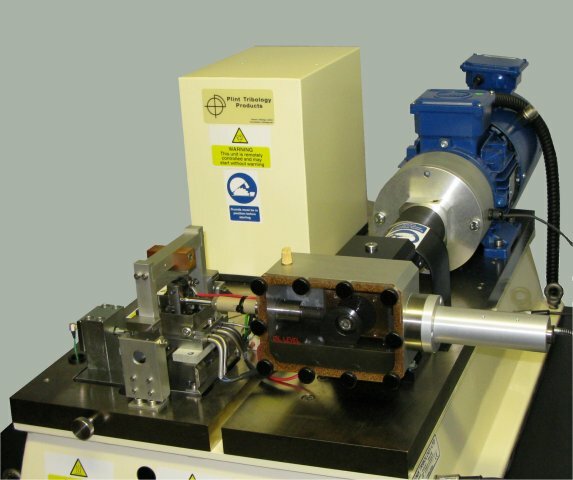 The TE 77/EP-CAM test roller is mounted on the output shaft of a worm gearbox and runs in a heated lubricant reservoir. The reservoir is supported on flexures and a piezo-electric force transducer measures the horizontal (traction) forces in the contact. The enclosure is provided with an integral electric heater and thermocouple to enable tests with bulk fluid temperatures up to 100°C. 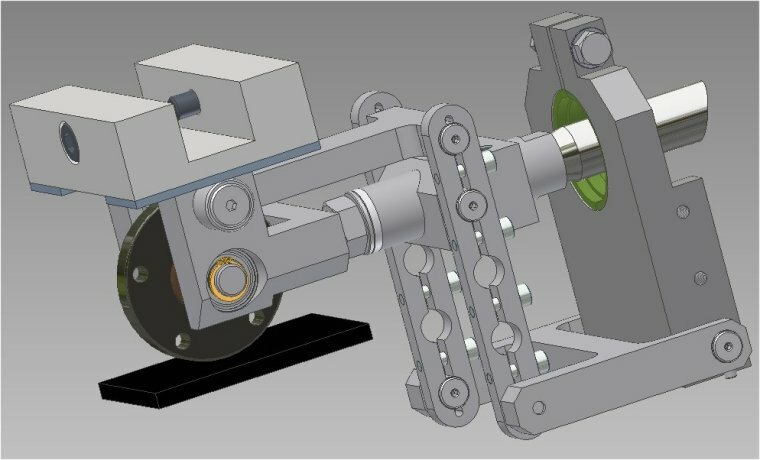 The worm gearbox with has a 2:1 speed reduction and the input shaft is connected via a 1:2 ratio bevel gearbox to a servo-motor. 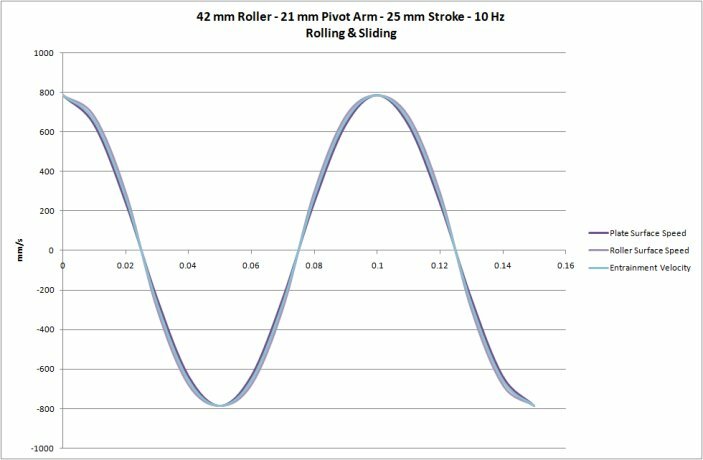 The rotational speed of the roller can be adjusted independently of the reciprocating rate of the plate, allowing a range of different varying entrainment velocities to be set. 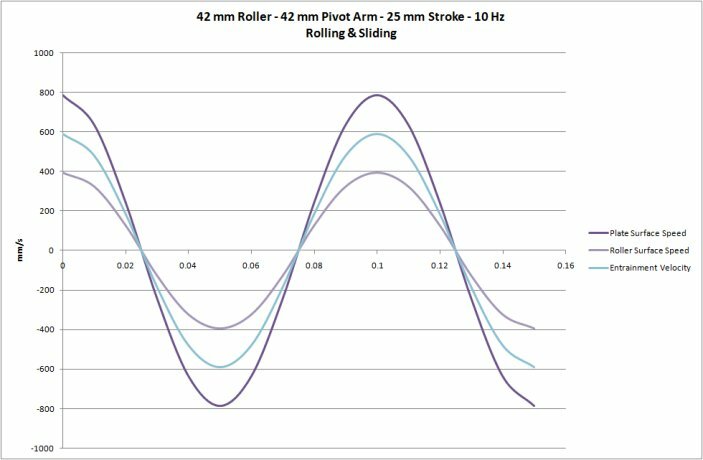 In addition to adjusting the varying slide/roll ratio by adjusting the rotational speed and reciprocating frequency, the stoke length can of course be adjusted. The upper plate specimen is secured to a pivoted yoke on the reciprocating drive. 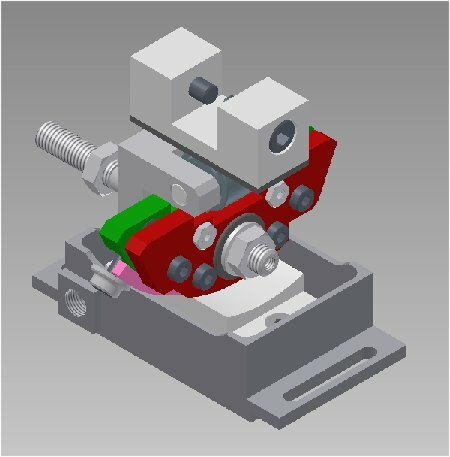 This ensures that the plate aligns with the roller with an even load distribution across the contact width. The load is transferred to the reciprocating arm by the usual method of the needle roller cam follower running against a plate on the lower side of the loading yoke. In this arrangement, a roller is reciprocated against a plate specimen and a rocking motion induced by a linkage mechanism. The entrainment velocity varies with stroke, symmetrically about the mid-stroke position. The result is that the point of contact moves on both specimens, similar to gear teeth sliding and rolling about the pitch point. No point on either specimen remains in continuous contact. The adapter replaces the standard machine reciprocating head and thus uses the standard 25 mm stroke cam drive, loading system and fixed specimen assembly. Slide-roll ratio is adjusted by altering the position of the link arms. There are a number of test procedures requiring low levels of normal load. These include tests on coatings and soft layers, the evaluation of the lubricity of fluids and the ISO/DIS 12156-2 Fuel Lubricity Test. The standard automatic loading system has a loading threshold of 5 N. The Low Load Adapter can apply loads down to fractions of a Newton, although the minimum resolvable friction forces are at a level of 2 N normal load. The Low Load Adapter applies dead weight loading to a ball (point contact) moving test specimen. 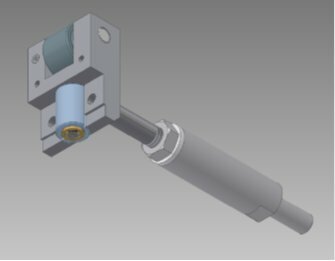 The adapter uses a balanced beam and a push rod running through a linear bearing in a modified specimen carrier. This ensures that the load remains vertically above the ball across the whole stroke. 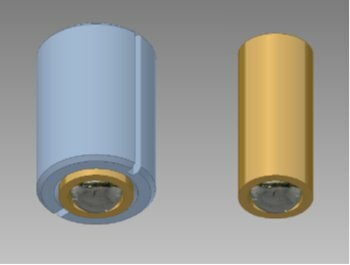 The design limits the stroke to 2 mm with this adapter. This test bath is for use in conjunction with TE 77/LLA for performing tests using standard ISO Fuel Lubricity Test specimens. TE 77/D5706/7 Fixed Specimen Bath, in conjunction with the standard reciprocating head, allows fixed and moving specimens as specified in ASTM D5706 and D5707to be accommodated. The two most important parameters to calibrate on the TE 77 are the normal load and the friction force. TE 77/CAL provides a pivoted beam with dead weights able to apply up to 1,000 N to the loading system and a pulley, cord and weights to apply a tangential force to the specimen bath to check the friction measurement. Tribology International, 1990, 23(5), p. 301-307. Proc. I. Mech. 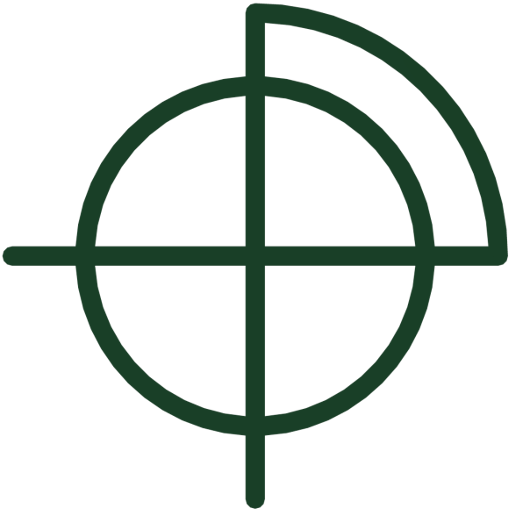 E., J. Aerospace Eng., 1991, 205, p. 89-101. Proc. 5th Int. Congress on Tribology, Eurotrib 1989, Vol. 1, p. 174-180. Proc. I. Mech. E., Tribology – Friction, Lubrication and Wear, Fifty Years On, 1987, p. 447-454. Proc. 5th Int. Congress on Tribology, Eurotrib 1989, Vol. 5, p. 272-279. STLE Tribology Conference, Toronto, October 7-10, 1990. ASME Journal Of Tribology, 1991, 113, p. 65-72. Tribology International, 1990, 23(4), p. 226-234. ITC, Nagoya, 1990, 2F1-2, p.1101-1106. Paper # 10 Routine Engine Tests – Can We Reduce Their Number ? Petroleum Review, July 1990, p. 368-370. Belvoir Fuels and Lubricants Research Facility SwRI Report No. BFLRF 262, May 1989. Tribology International, 1984, 17(4), p. 209-213. Tribology International, 1985, 18(4), p. 247-249. Presented at Coatings for Advanced Heat Engines Workshop, Castine, Maine, August 6-9 1990. Presented at US Department of Energy Annual Automotive Technology Development Contractor’s Coordination Meeting, Dearborn, Michigan, October 22-25, 1990., SAE P-243, 273-281. Belvoir Fuels and Lubricants Research Facility SwRI Report No. BFLRF 270, Feb 1991. Proc. 7th International Colloquium, Automotive Lubrication, Esslingen, January 1990, Paper 12.15, 1-16. Proc. 8th International Colloquium, Tribology 2000, Esslingen, January 1992, Paper 7.7, 1-13. Proc. 8th International Colloquium, Tribology 2000, Esslingen, January 1992, Paper 19.10, 1-16. Proc. Leeds-Lyon Symposium, Wear Particles, Dowson et al. (eds), 1992, Elsevier, Paper IX(ii), p. 387-396. Proceedings of the 16th Leeds-Lyon Symposium, Mechanics of Coatings, 1989, p. 371-377. Presented at CIMAC ’93, 1993. I. Mech. E. The Mission of Tribology Research, December 1992 (unpublished). Lubrication Engineering, 1993, 49(2), p. 89-95. Tribology Transactions, 1993, 36(1), p.113-119. ASTM STP 1199, Tribology: Wear Test Selection for Design and Application, Ruff A. W. and Bayer R. G. (eds), 1993. Wear 1993, 162-164, p. 763-772. STLE Trans., 1994, 37(1), p. 175-181.
International Conference on Metallurgical Coatings and Thin Films, San Diego, 1993. Paper # 36 Polymer Esters and Their Synergy with ZDDP – A Possibility to Reduce ZDDP Content in Lubricants? 9th International Colloquium, Ecological and Economical Aspects of Tribology, Esslingen, Paper 11.14, 1-10. 9th International Colloquium, Ecological and Economical Aspects of Tribology, 1994, Paper 3.11, 1-16. CEC/93/TL02, Proceedings of 4th International Symposium on the Performance Evaluation of Automotive Fuels and Lubricants, 1993. STLE Preprint 94-PS-3G-6, 49th STLE Annual Meeting, 1994. STLE Preprint 94-AM-5J-1, 49th STLE Annual Meeting, Pittsburg, 1994. Fundamentals of Friction: Macroscopic and Microscopic Processes, Singer I. L. and Pollock H. M. (eds), Kluwer Academic Publishers, 1992. STLE Preprint 94-AM-3G-1, 49th STLE Annual Meeting, Pittsburg, 1994. Austrib ’94, 4th International Tribology Conference, Perth, 1994. 21st Leeds-Lyon Symposium on Tribology, Lubricants and Lubrication, Dowson et al. (eds), Elsevier, 1995, p. 617-633. 6th International Congress on Tribology, Eurotrib 93, 1993. Industrial Diagnostic Services Report, 6, rue J. Lenoir, B-1348 Louvain-la-Neuve, Belgium, 1993. 21st Leeds-Lyon Symposium on Tribology, Lubricants and Lubrication, Dowson et al. (eds), Elsevier, 1995, p. 659-669. Proceedings of the XI NCIT, January 22-25, 1995, p. 409-414. Tribology International, 1994, 27(6), p. 413-422. Proceedings of the XI NCIT, January 22-25, 1995, p. 375-386. SAE 880875, 24th Annual Aerospace/Airline Plating and Metal Finishing Forum, 1988. Lubrication Science, 1995, 7 (2), p. 133-148. Journal of the Korean Inst. Metals and Materials, 1995, 33 (4), p. 556-562. Wear 1993, 160, p. 325-332. Wear 1993, 162-164, p. 636-644. Wear 1993, 170, p. 33-38. Tribology Transactions, 1996, 39 (3), p. 705-709. Lubrication Engineering, 1996, 52 (6), p. 437-442. STLE Preprint 96-AM-6C-2, 1996, 1-7. CEC/93/EF12, 4th International Symposium on the Performance Evaluation of Automotive Fuels and Lubricants, 1993.
in “Lubricants and Lubrication”, Dowson et al. eds., Elsevier, 1995, 409-422.
presented at First World Tribology Congress, Institution of Mechanical Engineers Conference C491, September 1997. SAE Paper 961138, 1996, 1-12. Lubrication Science, 5(4), 1993, 259-280. Lubrication Engineering, 53(12), 1997, 23-28. Paper # 110 Application of Soft X-Ray Absorption Spectroscopy in Chemical Characterization of Antiwear Films Generated by ZDDP Part I: The Effects of Physical Parameters. Paper # 111 Application of Soft X-Ray Absorption Spectroscopy in Chemical Characterisation of Antiwear Films Generated by ZDDP Part II: The Effects of Detergents and Dispersants. Tribology International, 30, 1997, 305-315. In Tribology of Hydraulic Pump Testing, ASTM STP 1310, Totten G. E., Kling G. and Smolenski D, J, eds., ASTM, 1996. Belvoir Fuels and Lubricants Research Facility SwRI Report No. BFLRF 291, September 1994. Tribology Letters, 3, 1997, 107-112. Tribology International, 28(8), 1995, 501-506. Proceedings of the XII NCIT, January 1998, p. 672-686. Proc. Leeds-Lyon Symposium, Vehicle Tribology, Dowson et al. (eds), 1991, Elsevier Tribology Series, 18, Paper XVI(ii), p. 429-437. Paper # 147 Solution Decomposition of Zinc Dialkyl Dithiphosphate and its Effect on Antiwear and Thermal Film Formation Studies by X-Ray Absorption Spectroscopy. Tribology International, 31 (10), 1998, 627-644. STLE Lubrication Engineering, 55(7), 1999, 27-32. J. App. Eletrochem, 23, 1993, 456. STLE Lubrication Engineering, 55(8), 1999, 28-32. Tribology International, 32(5), 1999, 243-253. Proc. Leeds-Lyon Symposium, Vehicle Tribology, Dowson et al. (eds), 1999, Elsevier Tribology Series, 36, p. 343-351.
presented at “Mission of Tribology Research 8”, Institution of Mechanical Engineers, London, 2nd December 1999, Paper 9. Tribology International, 34 (2001) 523-530. Tribology International, 34 (2001) 547-556. Tribology International, 34 (2001) 389-395. Lubrication Engineering, Volume 58, Issue 7, July 2001. 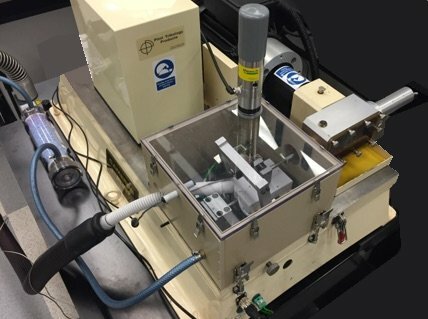 Paper # 324 Testing Extreme Pressure and Anti-Wear Performance of Crankcase and Gearbox Lubricants. ASTM STP 1404, American Society for Testing and Materials. ASLE Trans., 25, 1981, 117. John J. Truhan J J, Jun Qu, Blau P J. Paper # 442 Coated machine elements—fiction or reality? 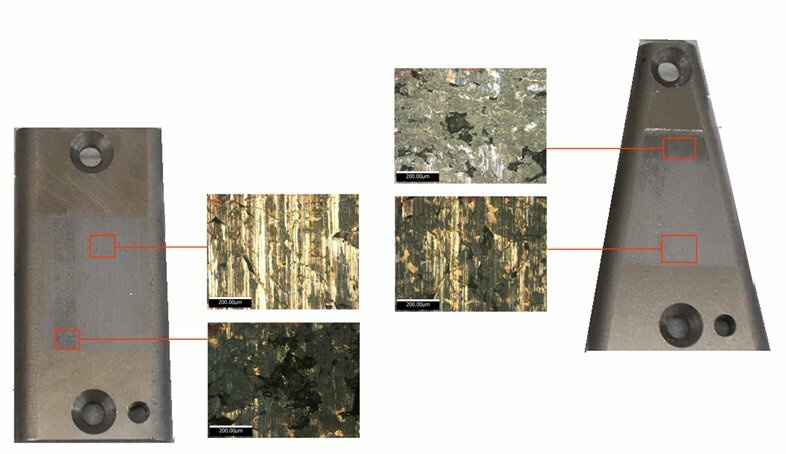 Paper # 1221 Surface micro-texturing of the prosthetic femoral head to reduce friction & wear, chimera or reality? Paper # 1244 What is the effect of lipophilic polymeric ionic liquids on friction and wear?